Influenza, or the flu as it is more commonly known, is a viral illness. Symptoms vary from mild to severe. Symptoms may be severe enough to require hospitalization or even cause death when affecting people who are already frail. The severity of the flu differs from year to year. 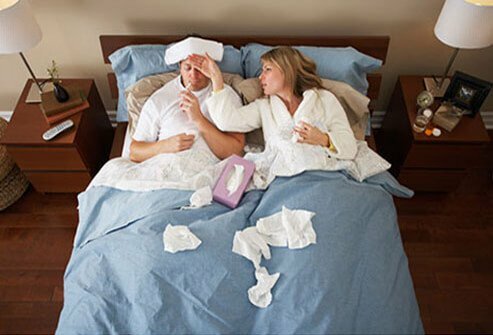 Healthy people can become sickened by the flu and transmit it to others. But young children, elderly individuals, and people with certain medical conditions are at greater risk of suffering serious complications from it. The best way to reduce the risk of catching the flu and spreading it to others is to receive an annual flu vaccine. Vaccines are available either as an injection or a nasal spray. The more people who get the flu vaccine in a community, the less the illness spreads. 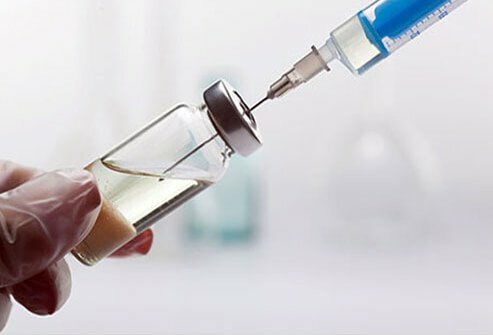 Injection of the flu vaccine stimulates the production of antibodies, proteins that provide immune defense against the illness. It takes the body about 2 weeks to generate antibodies after receiving the flu vaccine. Every year the flu vaccine is tailor made against the particular strains of the flu that are circulating. The trivalent flu vaccine protects against two types of influenza A -- H1N1 and H3N2 -- and one type of influenza B. Quadrivalent vaccines protect against the three types of flu viruses accounted for in the trivalent vaccine plus another strain of influenza B. People who work with or around children or sick individuals should strongly consider getting annual flu vaccinations to help protect themselves and vulnerable populations. Different types of flu vaccines are appropriate for different groups of people. For example, a patient’s age, allergy status, and presence (or absence) of an egg allergy should all be taken into account when deciding what type of flu vaccine is appropriate. Individuals between the ages of 2 and 49 who may not want the standard, injectable flu vaccine may opt for the nasal spray vaccine provided that they are not taking medications which contraindicate it. Ideally, it is best to receive the flu vaccine as soon as it becomes available at the start of flu season. Flu outbreaks may begin as early as October and typically peak in January or later. It is appropriate to get the vaccine as long as the flu is circulating. Receiving the flu vaccine as early as possible or just prior to the beginning of flu season works best to help protect individuals and the community against influenza. Flu vaccines are widely available in pharmacies, urgent care centers, clinics, doctor’s offices, and university health centers. Some employers and schools even offer flu vaccines onsite. You do not need to be under the regular care of a doctor or nurse to get a flu vaccine. Yes. It is possible to get the flu even though one has gotten the flu vaccine. A variety of factors determine whether or not someone will get the flu even though he or she has been vaccinated. The age and health status of a person affect vaccine effectiveness. 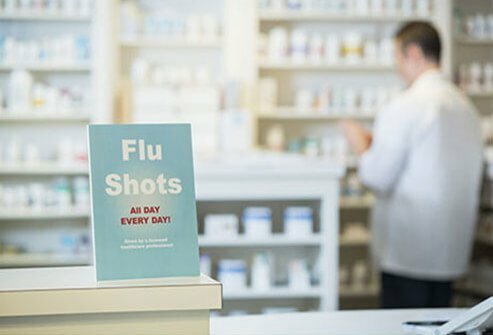 Every year, public health officials predict which strains of the flu will be circulating and they manufacture the vaccine to best protect against the anticipated strains. However, the strains that circulate do not always perfectly match the strains accounted for in the vaccine. Vaccine effectiveness is highest when the strains in the vaccination closely match the strains that are causing illness. 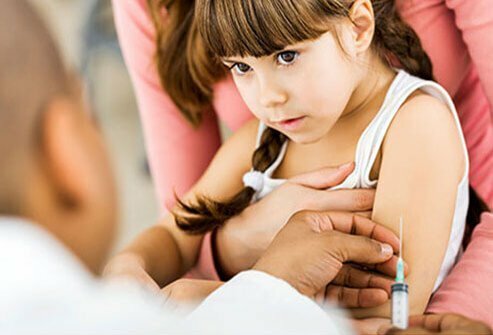 Even though the flu vaccine might not be a perfect match, it will stimulate the production of antibodies which will confer some protection against the circulating strains via a process called cross-protection. These antibodies will be enough to protect some people from getting the flu and will help protect others against dangerous complications of the flu. The flu vaccine helps protect you and those around you from getting the flu. 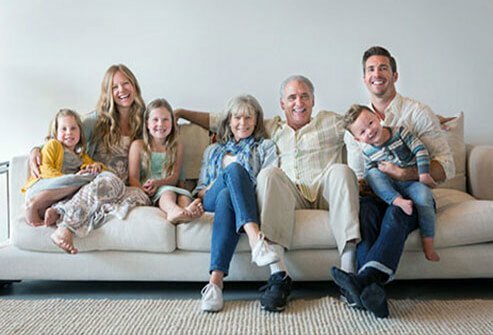 The flu vaccine helps protect vulnerable populations in the community -- infants, young children, elderly adults, and those with chronic health conditions -- against getting the flu and suffering from potentially serious complications. The flu vaccine will lessen “the blow” of the illness if you do catch influenza. The flu vaccine helps protect against hospitalization and other potentially serious complications of influenza. No. It is not possible to get influenza from the flu vaccine. Injectable flu vaccines contain either inactivated viruses or no viruses so, neither one is capable of making people sick. The nasal spray flu vaccine does contain live, weakened (attenuated) viruses. It also cannot make people sick with the flu. 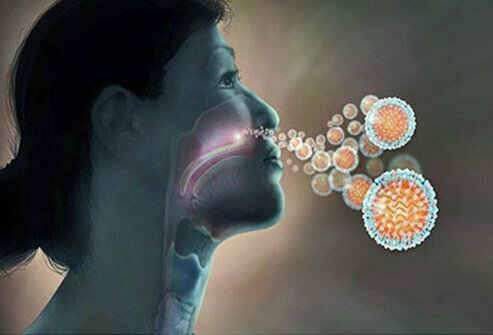 The viruses used in the nasal vaccine are cold-adapted, meaning they are designed to only infect cooler environments, such as within the nose. The viruses in the nasal vaccine are incapable of infecting warmer body areas, such as the lungs. 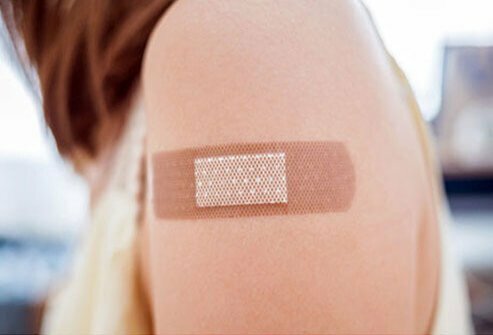 The flu shot containing killed (inactivated) viruses may cause minor side effects including redness, swelling, and soreness at the site of the injection, a low-grade fever, and body aches. The nasal spray flu vaccine containing live, weakened (attenuated) viruses may cause side effects in children including muscle pain, fever, wheezing, nasal discharge, headache, and vomiting. 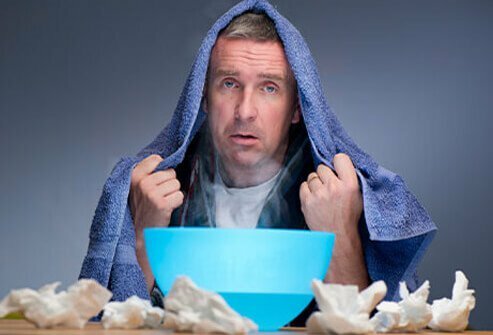 Are there some people who should not receive a flu vaccine? The Centers for Disease Control and Prevention (CDC) recommends that everyone, age 6 months and older, be vaccinated annually against the flu. 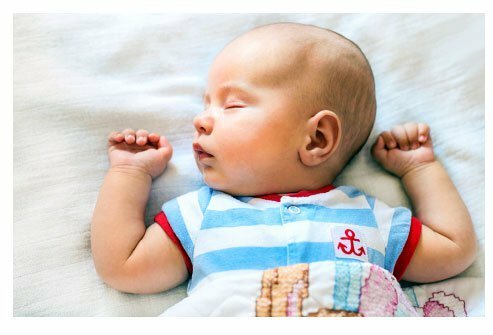 Infants under the age of 6 months old who are too young to receive a flu shot. People who have severe, anaphylaxis-type allergies to the flu shot or any ingredients contained within the vaccine. Have an egg allergy or are allergic to other ingredients contained within the vaccine. In the event of egg allergy, please refer to the CDC’s “Special Consideration Regarding Egg Allergy” for more information about who should avoid the vaccine and who may receive it with the help of additional safety measures. 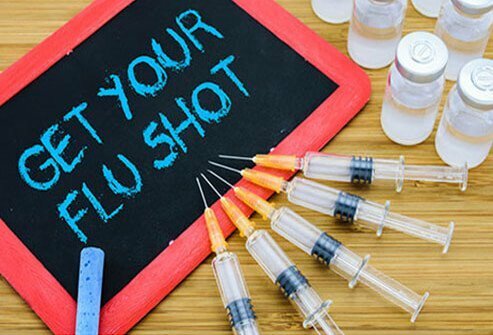 CDC: "Key Facts about Seasonal Flu Vaccine”, "Vaccination: Who Should Do It, Who Should Not and Who Should Take Precautions"
© 1996-2019 eMedicineHealth. All rights reserved.